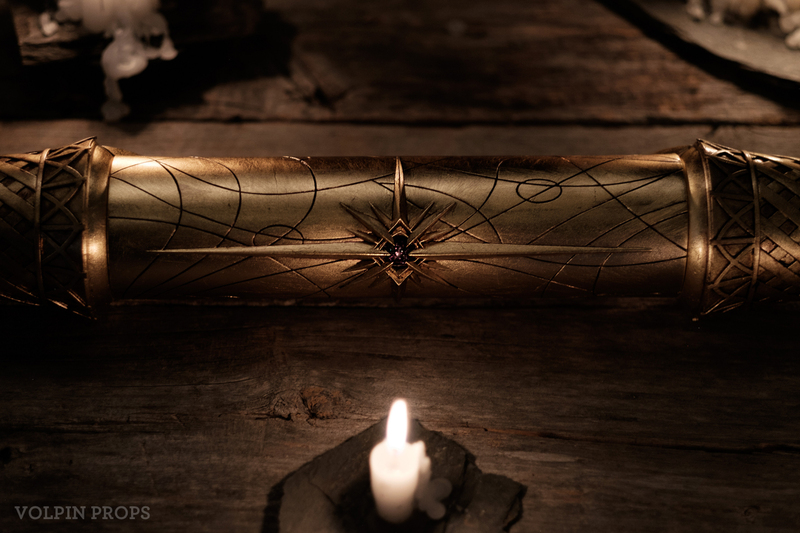 Created as a sweepstakes prize for the release of an expansion to The Elder Scrolls Online, two copies of the enigmatic Elder Scrolls from which Bethesda’s long running series were created by our studio in 2017. 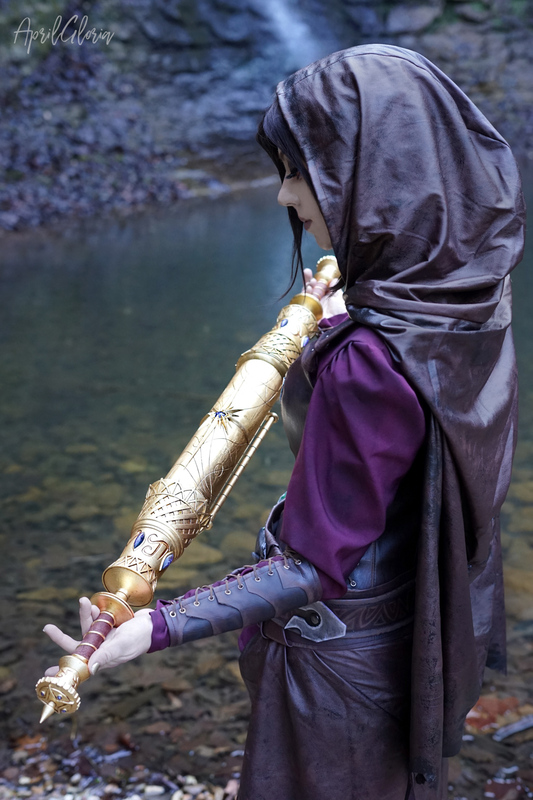 These replicas followed the designs in Skyrim and ESO. 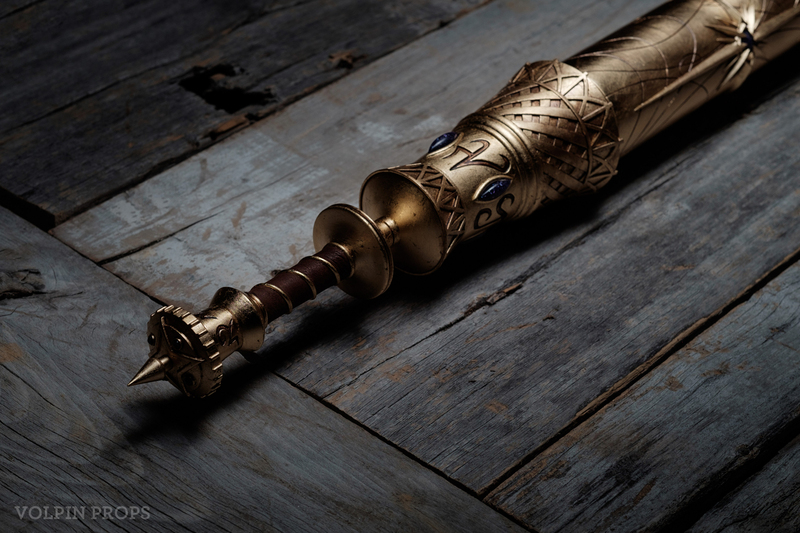 Master sculpts were hand turned to produce molds and urethane copies, which were then painted and treated to a real gold leaf finish to best capture the aesthetic of an ancient and cryptic relic. 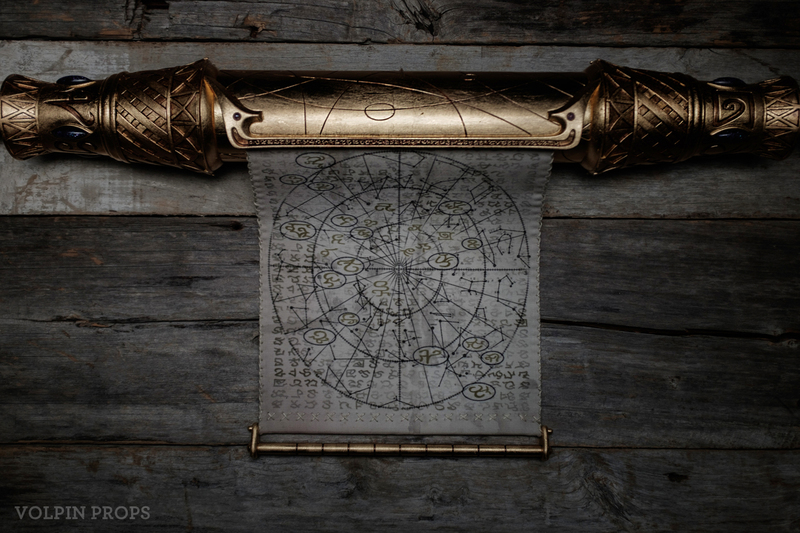 The linen scroll can be pulled out from and retracted into the gold housing in the same manner as the in-game items. 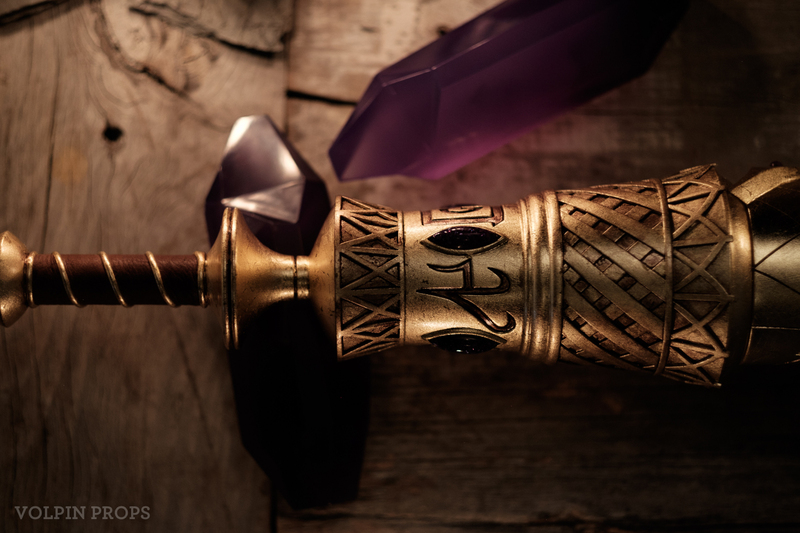 Gemstones are epoxy and amethyst, and goatskin leather was used to wrap the handles. 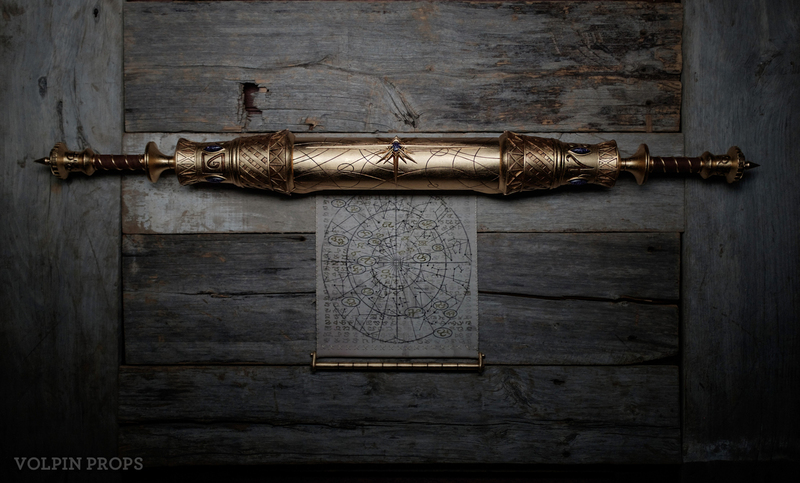 As closely as possible, old world artisan techniques were used to make these scrolls truly special. 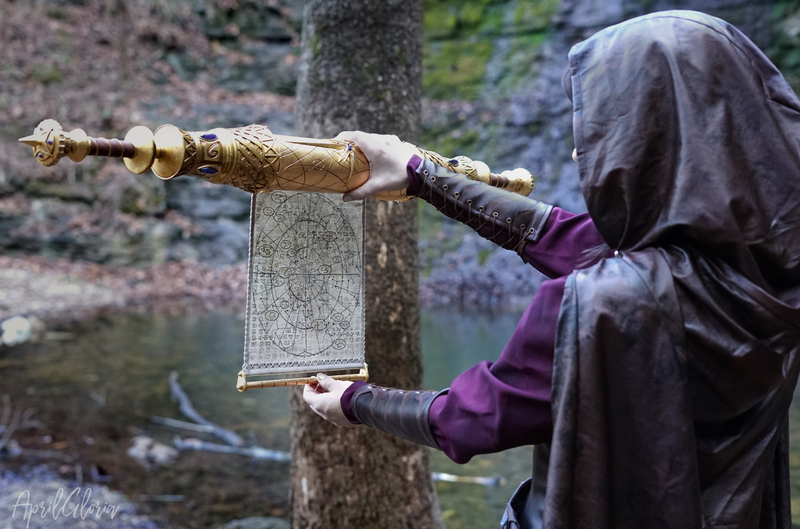 For a last bit of realism, cosplayer April Gloria was lent one of our replicas for a photoshoot before it made its way to the sweepstakes winner. 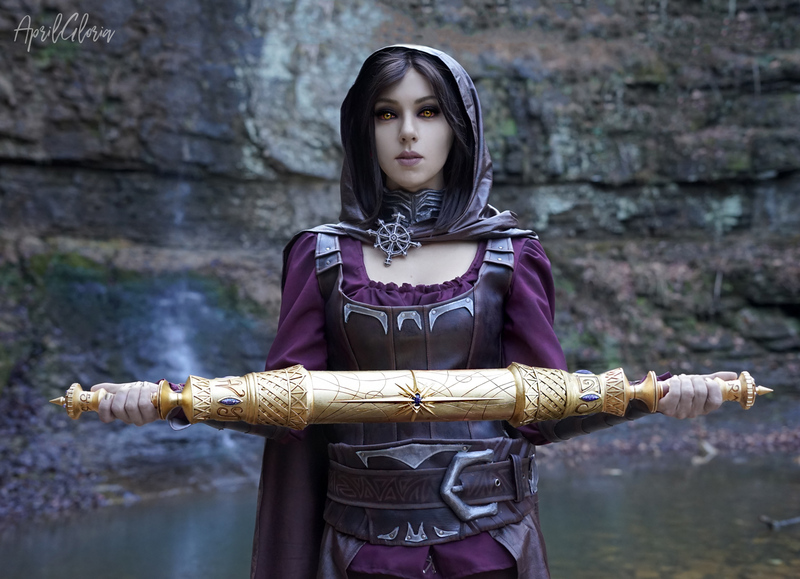 April makes a fantastic Serana and we’re very happy to have had the opportunity to collaborate on these photos. 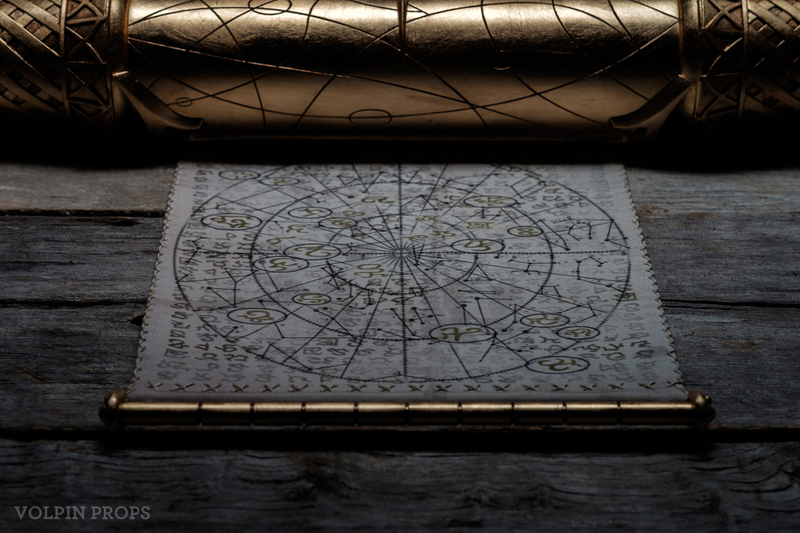 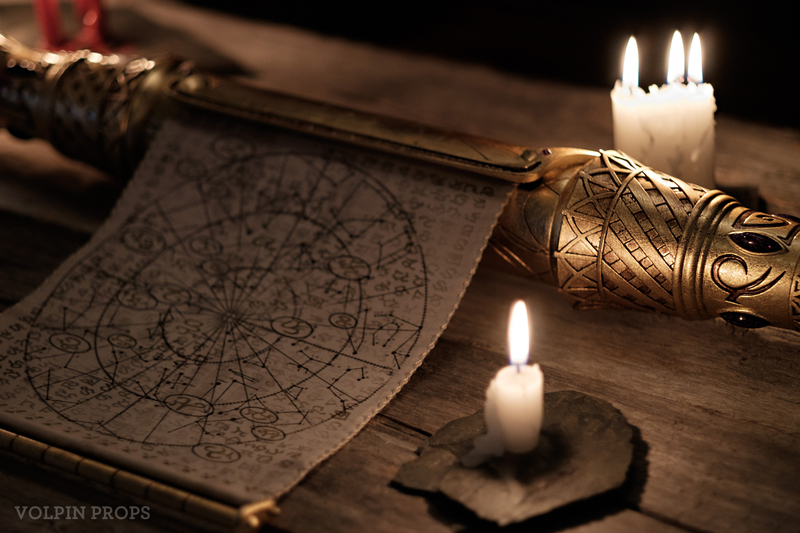 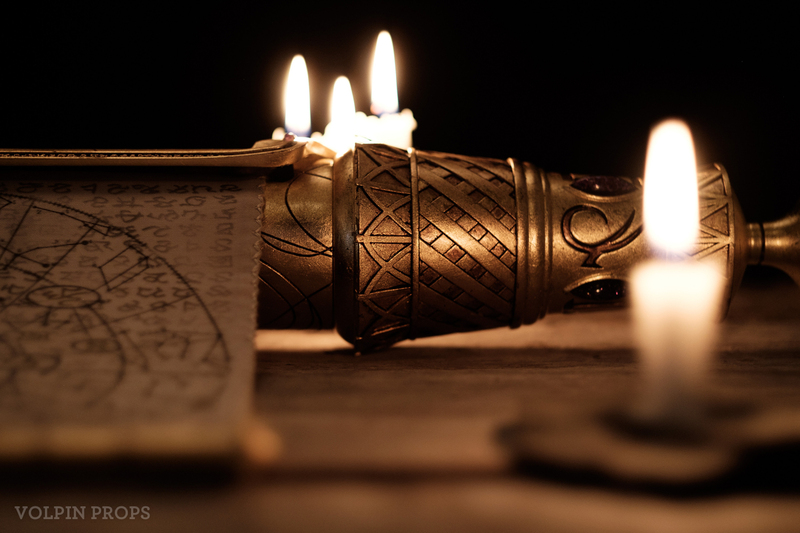 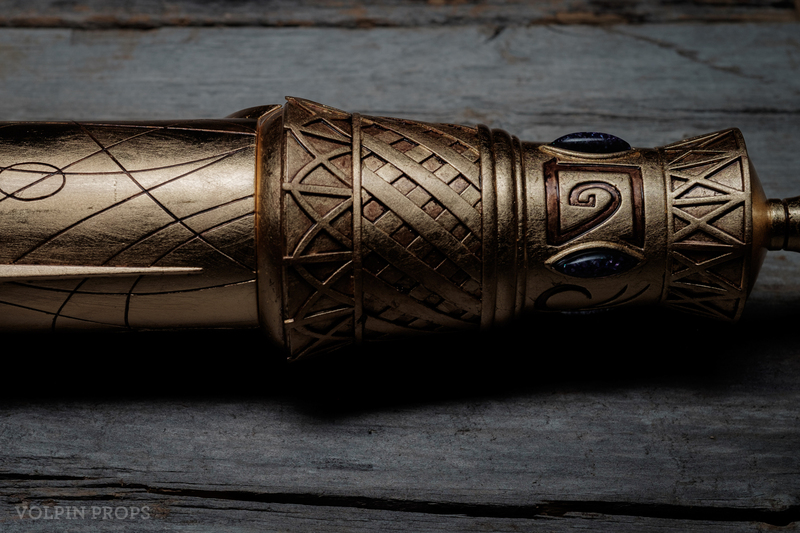 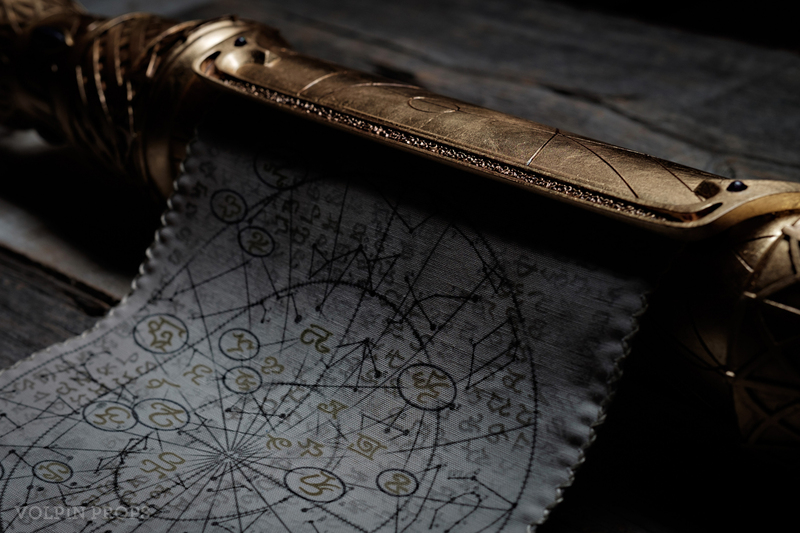 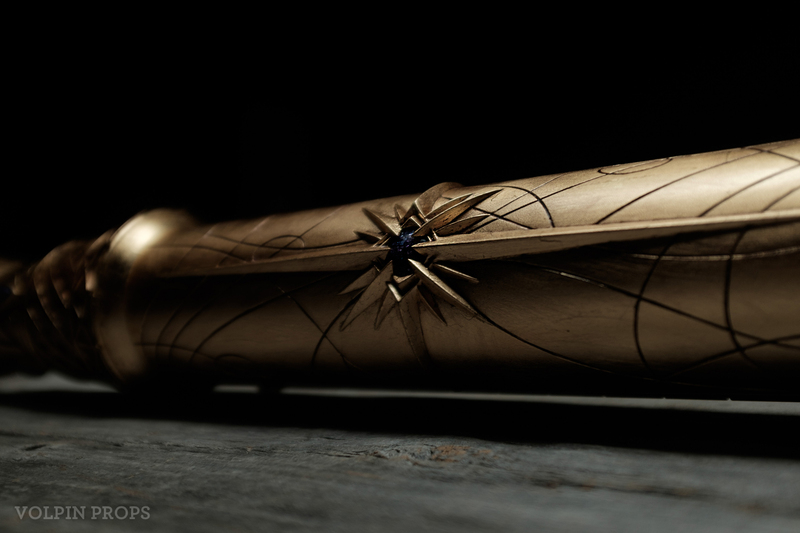 Studio photography of the scroll is courtesy of our friend Dan Almasy.